Manchester United defender Phil Jones says he is 'surprised' at the start Arsenal have made to the season. The England international called on the Old Trafford crowd to get behind the side and make life difficult for the league-leaders. Following Arsenal's opening day defeat to Aston Villa, many tipped this season to be the one where the Gunners slip out of the top four, but with the signing of Mesut Ozil, the North London club have gone from strength to strength. Many have been surprised by the start made to the season by Arsene Wenger's side, including two big victories in the last week, and Jones is one of them. “I have been surprised, I think everyone has,” the 21-year-old said. “I don’t think we expected it at the start of the season but they have done really well and hopefully we will be able to break them down." After beating Liverpool 2-0 at the Emirates, Arsenal travelled to Borussia Dortmund and clinched a memorable win. The Gunners were praised for how they handled the imposing Dortmund atmosphere, however, Phil Jones is hoping a different kind of atmosphere can help the Red Devils on Sunday. “They will be filled with confidence after a great win in Dortmund during the week, but this is a different game with a completely different atmosphere," he added. "Hopefully Old Trafford will be rocking on Sunday and we will be able to get the three points." The game sees last season's champions United take on the current table-toppers, and the fixture remains one of the most eagerly anticipated in the league. 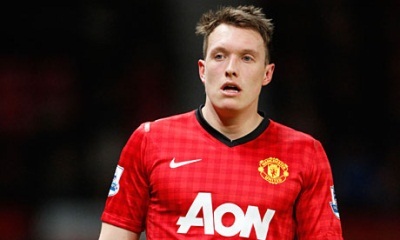 Arsenal have a poor recent history away to United, and Jones is hopeful of the win. A boost for Arsenal will be the likely returns of Mathieu Flamini and Jack Wilshere. United, meanwhile, will be looking to claw back an eight point deficit on the Gunners and kick-start a title challenge of their own. After seeing their unbeaten start to the season ended last weekend, AS Monaco FC coach Claudio Ranieri is looking for a positive reaction when the principality club meet Evian-Thonon-Gaillard FC for the first time in a competitive game on today. Monaco's expensively-assembled attack could not break down a mean Lille defence as they succumbed to a 2-0 defeat in France's far north last Sunday, their first loss in 12 Ligue 1 games coming hot on the heels of their Coupe de la Ligue exit at Reims and seeing them slip back to third place in the table, three points behind leaders Paris Saint-Germain. The Ligue 2 champions have won just one of their last four games in all competitions, but remain on course to claim the top-three berth that was their objective at the beginning of the campaign and have been excellent at home so far, winning five of their six matches in front of their own fans and only dropping points in a draw with Toulouse in August that was played behind closed doors. 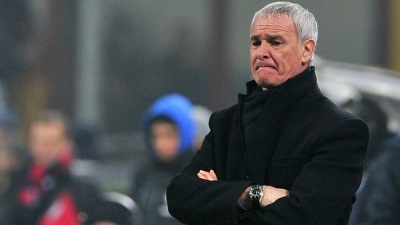 "I am convinced that the team has learned from what happened (at Lille) and their reaction will be very important," said the veteran Italian Ranieri on Thursday. "My experience has taught me that things will not always go well over the course of a season but I think we will put in a good performance on today evening." Ranieri admitted that he was proud of the way his team played against Lille but accepts that recent criticism of their performances, including the throwing away of a two-goal lead to draw at Sochaux last month, is valid and knows that recent defensive weaknesses must be improved upon. "We need to change our mentality. Reims and Lille were more aggressive than us. 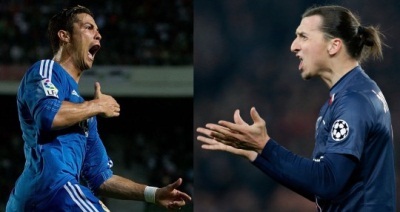 In France, the football is very aggressive. Everyone must understand that. You need to be concentrated, attentive right from the start of a match. It is also not possible that we should concede so many headed goals (seven out of 11 altogether). 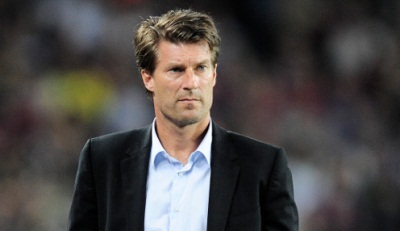 "Against Evian, who have won three games in a row and will look to hit us on the break, it will be difficult. I am positive, I am not thinking about losing. But we need a reaction. My players need to feel the pressure and perform at 100 percent." Evian may sit in a modest 14th position in the table but they are a healthy seven points clear of the relegation zone and a win will move them level on points with Marseille in fifth. The 2011 Ligue 2 champions are enjoying their best-ever start to a top-flight campaign and travel to the Mediterranean coast fresh from winning back-to-back league games either side of a Coupe de la Ligue victory at Guingamp. Last weekend, ETG beat Toulouse 2-1 at the Parc des Sports in Annecy with former Monaco defender Cédric Mongongu scoring a stoppage-time winner from the penalty spot. 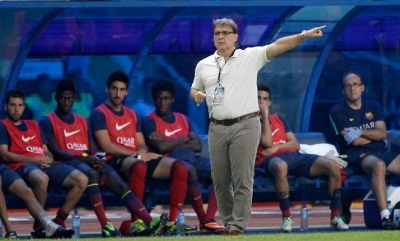 Now coach Pascal Dupraz hopes his team can spring a surprise in the principality. "We are not competing on the same level as them, we know that. Our aim is to build on our good recent performances," said Dupraz. "If we go to Monaco to get a tan and look at the rock, we risk coming away with a hiding. There is never a good time to play them but if we want to climb the table we will need to continue our unbeaten run." Evian travelled south without six-goal top scorer Kévin Bérigaud, Brice Dja Djédjé and goalkeeper Bertrand Laquait, who are all injured. In addition, Cédric Cambon misses the game as he serves a one-match suspension. There will be no surprises in the Monaco side with long-term injury victim Nabil Dirar the only man on the sidelines. Manchester United striker Wayne Rooney is out to have more fun at Arsenal's expense at Old Trafford on Sunday and said: "They must be sick of the sight of me." 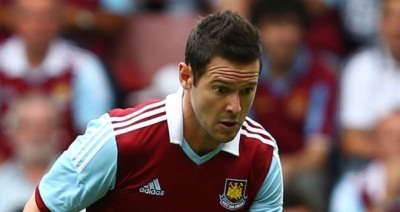 The Gunners have figured prominently in the 28-year-old's career. He announced himself on the Premier League stage against them with his wonder strike for Everton in 2002. Two years later, following his £27million move to United, he won the penalty for Ruud van Nistelrooy's opener, then scored the second as the Arsenal 'Invincibles' saw their 49-match unbeaten record come to a shuddering halt. Arsenal were also the opposition when Rooney scored his 100th Premier League goal, part of an overall haul of 10, the most England's talisman has scored against any individual club. 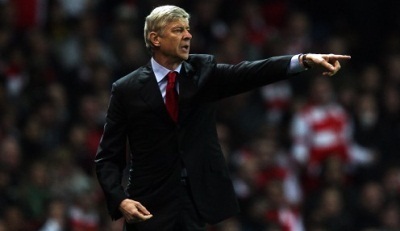 So Arsene Wenger could be forgiven a sense of trepidation when his league leaders head north this weekend. 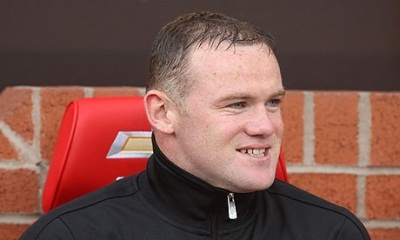 "Arsenal do crop up quite often," said Rooney. "It is a bit weird. I am sure they must be sick of the sight of me at times. "That first goal for Everton does seem like a long time ago. 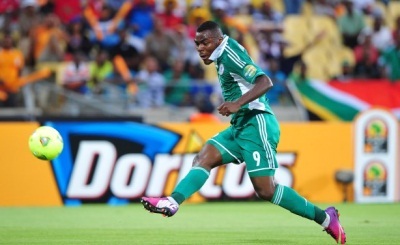 "It was obviously a special goal for me, plus they were 32 games unbeaten. And I will always remember the 2004 game. "There had been a lot of hype around it because of what happened the year before with Ruud van Nistelrooy. "That was as tense as I ever remember it before a game. "Arsenal were a fantastic team and it was a great feeling to beat them 2-0 and end that record." Rooney was speaking at the launch of a three-year partnership between United and their new official timekeeper Bulova. As part of the deal, the United squad will get the chance to design their own personalised watch, which Rooney intends to dedicate to his children - Kai and Klay. "It is exciting," he said. Not as exciting as facing Arsenal, though, especially given the Gunners' recent form. Wenger's side have established a five-point lead at the top of the table, and boast an eight-point advantage over United. Yet the Red Devils are on an eight-match unbeaten run of their own and Rooney recognises now would be the ideal time to kick on. "It is the perfect fixture for us," he said. "Arsenal are obviously doing really well but with our current form, it is a chance for us to get a bit closer in the table." Speaking to Press Association Sport following United's goalless draw with Real Sociedad in midweek, Rooney cast doubt on Arsenal's staying power. It is a view he repeated on Friday morning, even though he accepted Arsenal look capable of maintaining their present form. "I said before, it will be interesting to see whether they can maintain that because over the last six or seven years they have faded off," he said. "Certainly they seem in a better place. They seem stronger. 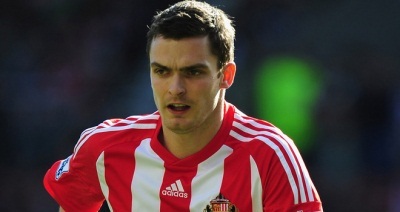 "We know we will have to be at our best to beat them but we are capable of that. 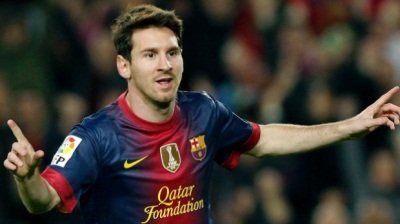 "I have always enjoyed my games against them and it has always been a big game. Hopefully we can get the right result on Sunday. Paulo Sousa has "high hopes" as his Maccabi Tel-Aviv FC side look to derail section leaders Eintracht Frankfurt in the fourth round of UEFA Europa League Group F matches. The Israeli team were beaten 2-0 in Germany two weeks ago as Eintracht recorded their third win in as many outings to open up a five-point lead in the standings. 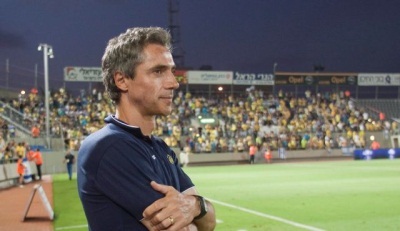 Sousa's charges remain second, however, and with four victories from five home games in all competitions this season – and only one goal conceded – the coach believes an upset could be in the air. "I am a very positive coach and a dreamer so I have high hopes for this match," Sousa explained. 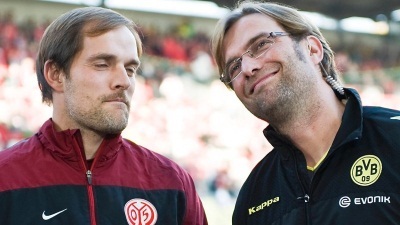 "However, we can't avoid the truth – even if Frankfurt make changes, we must be realistic. Our leagues are at different levels though we still have home advantage. We have a chance of progressing after winning at Bordeaux [on matchday two]. That has really given us the possibility of advancing." Maccabi are top of the Israeli Premier League and, despite Monday's 3-2 defeat at Hapoel Beer Sheva FC, have let in just four goals in their eight league fixtures this term. "After losing on Monday we are ready for Frankfurt, it's our home stadium and we are feeling brave with the backing of our crowd," said Sousa. Defender Eytan Tibi added: "We go into each game looking to win and past defeats have no effect on us. We will play our own game; we play as the coach has prepared us to play. The media have called us the best defensive team in the league, but it's too early in the season for this." Eintracht – 15th in the Bundesliga – also lost at the weekend, 2-1 at home to VfL Wolfsburg on Saturday, defender Johannes Flum explaining: "In the last league game we didn't concentrate, but we'll improve here. We are representing our fans and Germany." Coach Armin Veh also thinks an improvement is necessary despite his squad's lofty European position, noting: "Maybe the win last time out looked easy, but it wasn't. We haven't been doing well recently but we have the chance to reach the knockout phase and Maccabi know that. Both sides are keen to succeed." The Eintracht boss is without a number of players due to illness, but said: "Any changes will be tactical to adapt to the opposition. I give the same amount of respect to every team we play." The Viola are practically qualified for the next round anyway, having won all three games with eight goals scored and one conceded. They are three in front of Dnipro and eight ahead of both Pandurii and Pacos Ferreira. Fiorentina travel to Romania on Thursday at 18.00 GMT. “I think it’s important to win the Europa League group and we want to keep doing well,” said Montella in his Press conference. “Will I rotate the squad? The idea remains to put the best team possible on to the pitch. We’ll see if we can bring some youngsters on to the bench and maybe introduce them during the game, but there is no rush. “Giuseppe Rossi was out for two years, so with Mario Gomez injured he had less time to rest. He wasn’t in great shape against Milan, so I thought it best he stay behind in Florence and train. 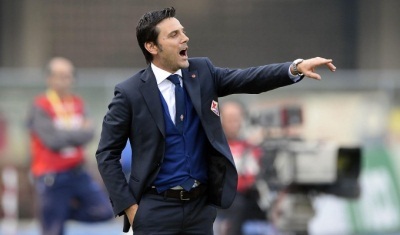 “It’s pleasing that Fiorentina are gaining a certain mentality in Europe, especially away from home. We have players with great technical quality who do better in space, so it might actually be easier to play away. 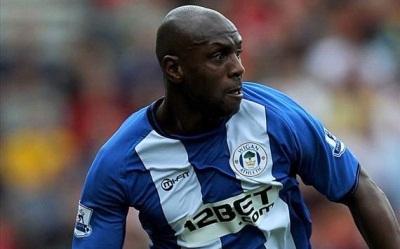 Emmerson Boyce is preparing to lead Wigan Athletic into Europa League battle today night, admitting he never thought his career would take him to deepest, darkest Russia. Latics take on Rubin Kazan on Matchday 4, knowing a positive result would inch them closer to qualifying for the knockout stages. And Boyce readily acknowledges the 5,000-mile round-trip to the Russian Republic of Tatarstan was not one he ever envisaged making. “I’ve never been anywhere near Kazan before – not even remotely close,” Boyce said. “Put it like this – it’s not somewhere that I’ve looked at on the world map and thought ‘I’ll go’. “It’s going to be a good experience and this is what playing in Europe is all about – visiting new countries and seeing different parts of the world. This season’s Europa League has already created some everlasting memories for everyone connected with Latics. And Boyce says the Euro adventure means just as much to the players as well as the supporters. “We’ve all seen the James Bond film ‘From Russia With Love’ – even though it’s not actually set in Russia,” he continued. 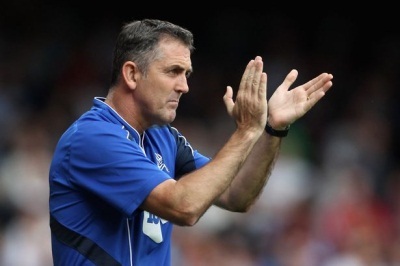 “But to go out there and play football, especially for a club like Wigan Athletic, is absolutely amazing. “I’m sure their fans will be looking at it going: Wigan who? Where’s Wigan? “Who would have thought Wigan Athletic would ever have qualified for Europe?” he added. “I certainly never thought I’d get close to playing in the Europe, so it’s just not an option for any of us to not want to be involved. It’s the same for every player in the squad – this might be the only chance we get to play in Europe, and we want to make the most of it. “People go on about the workload, but if you asked most of the players, they would rather play matches than train, so in that respect it’s not bad. “The games are coming thick and fast, but you’ll never catch any of the lads complaining about that. “These games are arguably the biggest in the history of the club, and you want to be involved and making as much history as possible. 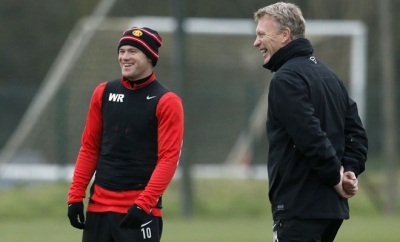 “For Wigan to be playing in Europe is incredible, games against Rubin Kazan will be remembered for a long time to come. Last month’s draw between the two sides moved Latics on to five points from their three matches, and only two behind Group D leaders Rubin. The home side recovered from the disappointment of going a goal down to equalise through Nick Powell, and almost sneaked it at the death when Marc-Antoine Fortune was denied by a fabulous save. 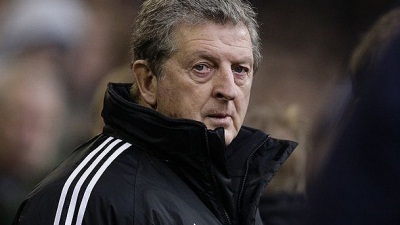 And while Latics will be in for the toughest test yet of their European pedigree, Boyce is quietly confident. “We obviously knew Rubin were a good team before the came here, but I thought we played very well at the DW,” he recognised. “A point was a good result, but we felt we should have won the game - especially with the great chance at the end. Tottenham take on Everton at Goodison Park on today afternoon looking to climb back into the top four. Spurs head into the game sitting sixth in the Premier League table but with Chelsea losing to Newcastle and Liverpool losing to Arsenal, they will be hoping to take advantage and move into second with a win today. Andre Villas-Boas men edged past Hull City in the league last weekend thanks to a controversial late penalty while the Tigers then took them to penalties in the Capital One Cup in midweek before the north Londoners progressed in with an 8-7 shoot-out win. Everton on the other hand beat Aston Villa 2-0 last Saturday to move up to sixth in the table – just a single point behind tomorrow’s opposition – so can reinforce their top-four credentials with a win on Sunday. Two late goals from the Toffees secured a 2-1 win in this fixture last season and Spurs have lost on their last three trips to Goodison so will be hoping to end that run this time around. Roberto Martinez will have to make do without the services of striker Arouna Kone after he was ruled out with a knee injury, so Romelu Lukaku should continue on his own in attack. Defender John Heitinga is back in contention after recovering from a muscle problem that’s kept him out of the last two games, but he’s expected to be among the subs with Distin and Jagielka continuing their partnership at the back. Defender Antolin Alcaraz and midfielder Darron Gibson remain on the sidelines through injury. Tottenham are still without defender Danny Rose, who continues to struggle with a foot injury, so Jan Vertonghen may play at left-back with Kyle Naughton only considered as 50-50 for the game due to a thigh injury. Winger Nacer Chadli picked up a hamstring problem in midweek so joins Emmanuel Adebayor and Zeki Fryers on the sidelines, but Andros Townsend is expected to be passed fit despite clashing with the advertising boards last weekend. Younes Kaboul made a successful return to action against Hull but may drop back to the bench today. 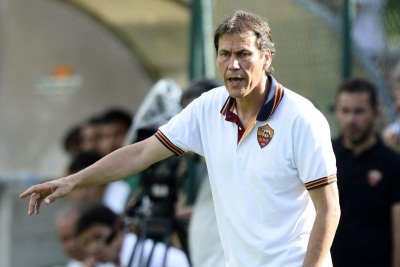 Roma coach Rudi Garcia has saluted his record-breaking players ahead of Sunday's Serie A match at Torino. A 1-0 victory over Chievo on Thursday allowed the capital side to set a league record of 10 successive victories at the start of a season. "This is a fantastic run of results for us," Garcia said. "I have a magical squad. "The players give everything and everyone is rowing in the same direction. They all want to win and they give everything on the pitch. "This is the secret to our success so far." The latest victory lifted Roma five points clear of nearest rivals Napoli and Juventus at the top of the division. Frenchman Garcia does not want his players to ease up and has his mind set on extending the run to 11 games. "We have very little time to celebrate as we have one day less than Torino to prepare for our game," Garcia said. "We have to recover our energy." Roma, who are still without injured strikers Gervinho and Francesco Totti, will be hoping Marco Borriello can increase his goals tally. 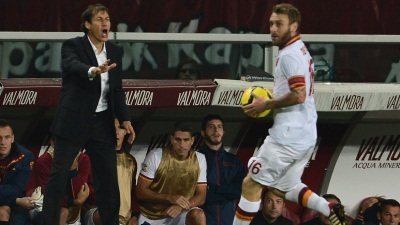 The Italian forward scored his first goal for Roma since May 2011 on Thursday to hand his team their historic win. Opponents Torino face a stern test as they take on the best defence and attack in Serie A this season. 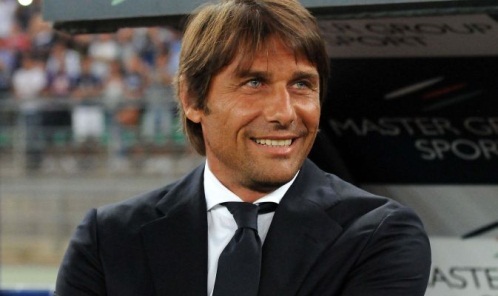 Roma have conceded just one goal while they have found the net 24 times. Adding to the case against Torino is the fact the home side will have six players unavailable through injury. "Against Roma we will be in a critical situation," Torino coach Giampiero Ventura said. "We haven't recovered any injured players and to make matters worse, (midfielder Giuseppe) Vives will serve a one-match ban." Torino go into the game in Turin on the back of Wednesday's 3-3 result at Livorno - a fourth draw in their last six games. Alessio Cerci converted a late penalty to hand his team a valuable point and lift Torino to 12th place. Torino have not won since beating Bologna 2-1 on September 22. Chelsea head to Newcastle on Saturday on the back of a six-game winning run and knowing victory would take them top of the Barclays Premier League, for a few hours at least. Mourinho made 10 changes for Tuesday night's 2-0 Capital One Cup win at Arsenal and will have to disappoint the majority of that team when he picks his starting line-up for the lunchtime kick-off. But as he tuned up for the trip to Newcastle, Mourinho put their recent fine form down to a squad of players who are all singing from the same hymn sheet. "A big team is a state of soul, a collective soul, and at this moment all my players have this," said the Blues boss. "It doesn't matter to the soul if you score or don't score, if you play well or don't play well. It is a good squad and good people, and we try our best every match. "It's what they all do - the objectives of the team are more important than the individual. "They have individual ambitions and targets - they want to go to World Cup, to play every game, they don't want to go on the bench - but the team is more important. "We are a team. I can speak individually to any of them but normally I just speak to my team." One player to buy into this philosophy appears to be Fernando Torres, who is finally showing glimpses of the player Chelsea spent £50million on when they bought him from Liverpool nearly three years ago. Torres has scored three goals in his past two matches, including the winner against Manchester City last weekend. 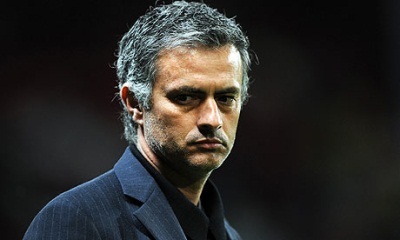 Yet Mourinho has once again played down his role in the Spain striker's sudden, and unexpected, resurgence. 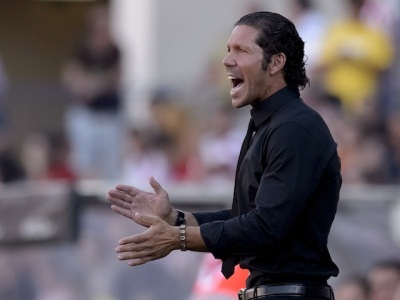 "I repeat I did nothing," said the former Real Madrid coach. "I did what I always do in trying to get the best out of the players, but in a very normal way.